The money raised in the “Voices for Solidarity” concert, which took place on February 18th, was handed over this past 21st of March in Vila-Seca. The concert was celebrated in benefit of the Vila-seca Associació Voluntaris Socials, organized by the Scherzo Female Chamber Choir, and in collaboration with the Sant Esteve Choir, Jordina Setó, the Conservatori de Música, the Auditori Josep Carreres, the Forn Sans, and the Llibreria Sant Jordi, all of them from Vila-seca. Both the Scherzo Choir’s president, Maria Teresa Montané, and the president of the beneficiary association, Bernadeta Roigés, were at the event, together with other members of the association. 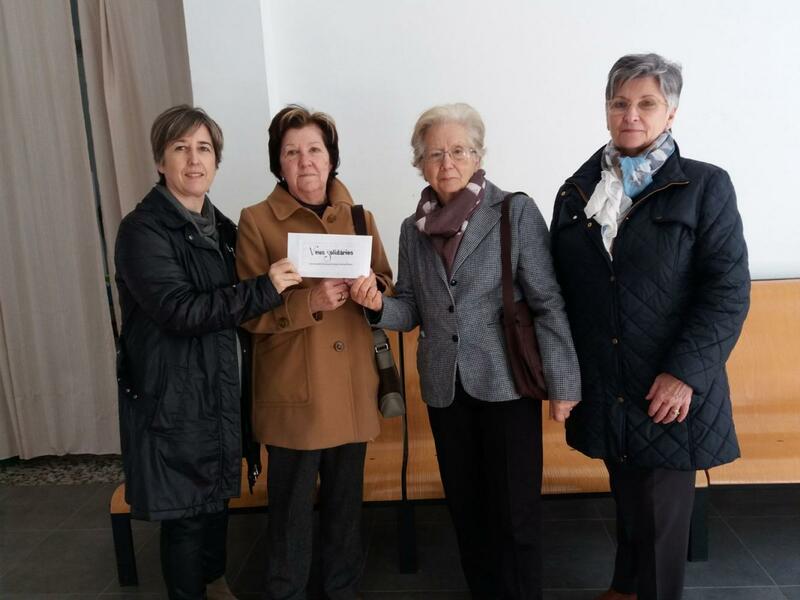 Roigés thanked the Scherzo Choir for their contribution and stated that a large part of the donation would be aimed at buying milk for the Food Bank of the Tarragonès county that the association manages. Throughout its history, the Scherzo Choir has participated in many concerts for solidarity. However, this one, with the slogan “Voices for Solidarity” is an initiative of their own with a commitment for future continuity.